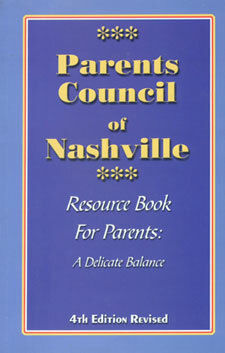 The Parents Council of Nashville was begun in the fall of 1985 by approximately fifty parents from thirteen schools. Chaired by Mrs. William L. Campbell (Beth) and Mrs. Henry C. Dye (Margaret) from Franklin Road Academy, the organization was born from their desire to encourage, support, and educate parents of our city's youth. Today membership continues to grow and presently includes 20 schools- elementary and secondary, both public and private. Since the beginning, the Parents Council of Nashville has served as both catalyst and facilitator, supporting the parents of young people in Nashville. This is done through the publication of A Delicate Balance, a bi-annual newsletter, promotion of parent networking, speaker resources, and through meetings with expert speakers who address different parent concerns. The Council remains actively involved in promoting parent support and developing new ways to support parents. Hired a strategic Planner to help evaluate our place in the community and voted on a new mission statement. What are the advantages of a school's membership in Parents Council of Nashville? Member schools are asked to select parent representatives to attend the Parent Council of Nashville membership meetings where they have opportunities to meet and network with parents from other member schools and hear local experts speak about parenting issues. 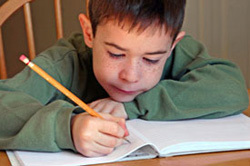 The parents at member schools receive a semi-annual news publication either in print form or via the school's website. The school also has an opportunity to purchase the parent resource book at a discount. Member schools are encouraged to establish Parent Networks and Parents Council of Nashville provide training for the network facilitators. How often do the representatives of Parents Council of Nashville meet? The representatives to Parents Council of Nashville meet four times during the school year. These membership meetings are held at member schools. What happens at the Parents Council of Nashville membership meetings? A local expert on youth issues presents a program; a networking-friendly environment is provided for moms to discuss concerns and ideas. Can I attend the Parents Council of Nashville meetings if my school is not a member? If you are interested in attending a membership meeting, please contact the Parents Council of Nashville membership coordinator, Pam Morris. 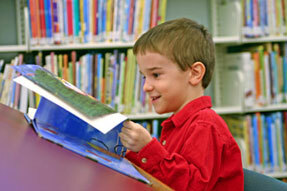 How can I purchase a copy of the parent resource book, A Delicate Balance? You can order your book by clicking here or by checking at your local bookstore. How can I see the news publication? To see copies of previous news publications, click here. Who are the current member schools and representatives? - click here. PCN promotes parent networking in its member schools. Parent networks are groups of parents from member schools who meet for the purpose of getting to know one another better and to discuss parenting issues. At one time PCN offered training for network facilitators and made available lists of topics and speakers. Now that parent networking has become an integral part of most of our member schools, the networks exist independently from us. We do however encourage our member representatives to bring back information from PCN meetings to their respective school networks. 1625 D. B. Todd Blvd. Donations Parents Council of Nashville, Inc is a nonprofit volunteer organization. The only resources we have to support ourselves are the sale of our book A Delicate Balance, and our grants. This is the list of donors who have supported us through the years. If you would like a donation to our organization, please contact our treasurer by email. Nashville Community Foundation grant for programs $1,000. Centennial Parthenon Pavilion/Columbia HCA Health System grant for program and newsletter $3,000. Mental Health Association of Middle Tennessee grant for programs $750. Psychiatric Hospital at Vanderbilt grant for newsletter $265. Parthenon Pavilion,/Centennial Medical Center grant for program $1,000. Department of Mental Health and Mental Retardation of Tennessee grant for handbook and start up of PCN $1,000. The Parents Council of Nashville wishes to thank the Louie and Bettie Phillips Foundation and the Martin Foundation for their generous grant for the development and maintenance of this website. 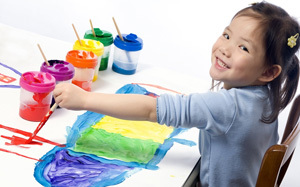 Our resources for parents include our connections with other agencies and schools, newsletter, and book, A Delicate Balance. The fourth edition of the PCN resource book, A Delicate Balance, is now available for purchase. The cost is $9.99 plus shipping. If you are interested in ordering a copy, click here. Often there are no right or wrong answers on how to raise children, and parents must seek that delicate balance which provides children with loving support while helping them develop independence and responsibility. 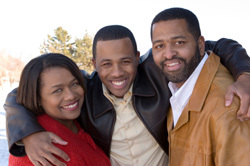 This 4th Edition of The Parents Council’s Parent Resource Book provides information and resources for parents of youth, grades 4 to 12 with current facts, expert advice, and comprehensive resources regarding child-rearing practices. Raising children is a wonderful and ever-changing adventure. Accomplishing this while maintaining your sense of humor and perspective is a challenge in itself and requires a delicate balance. We hope that this book will provide you with information and resources to be an effective parent and to help your adolescent develop a strong sense of identity and independence. Below are a few pages taken from the book that might be of interest to you. Spend time with your adolescent. Be available when your child is ready to talk. Late at night may be the best time for discussion. Make eye contact. Listen attentively. Acknowledge your child's feelings and statements from time to time--a single word is often best, as in "Oh"..."Mmmm..."I see". Talk about what your child wants to talk about. Talk less and listen more. Don't interrupt with comments or questions. Listen to what is spoken and what is unspoken. Watch for nonverbal cues. Children sometimes have trouble finding the words to express their feelings. Be patient--the words will come. Don't give in to the urge to lecture. Don't give advice unless asked. Learn to apologize for your child. The symptoms of alcohol, tobacco, and drug dependency are seldom clear cut. During the early stages, there may be little evidence that your child is using drugs. Be alert to causes for reasonable concern. A drop in grades. This may happen wither slowly or suddenly. Different friends. 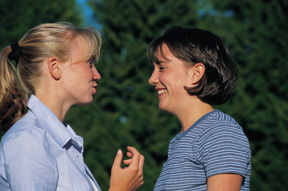 Are you seeing different friends, more friends to whom you object, or are you no longer meeting your child's friends? Emotional highs and lows. Does your child's emotional state change even more rapidly than usual, or does your child seem less happy and more defensive than before? A short temper, defiance to rules and regulations. Is your child pushing the limits, not doing chores, or showing more anger or hostility when criticized? Secretive behavior. Has your child stopped sharing personal information with you? Loss if Initiative. Does your child have less energy and sleep more? 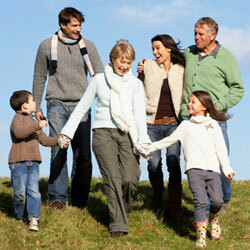 Withdrawal from family activities- Is your child avoiding meals, church, trips? Changes in physical hygiene, weight, or facial coloring. Not informing you about school activities. Is your child hoping that you won't find out about open houses, teacher conferences, suspensions, or warnings? Staying out late. Is your child presenting constant excuses for not coming home on time or not coming home at all? Isolation. Is your child spending more time behind a closed bed room door? Missing alcohol or money. Have you or other members of your family noticed missing items? Selling possessions. Has your child sold clothing, records, or gifts? Or does your child seem to have money without having a job? Legal problems. Has your child been cited for driving while under the influence, or had curfew violations? Has your child been at parties which were broken up by the police? Denial. Does your child say that everything is OK even though something is obviously wrong? I,___________________, on this day, do agree to the stipulations stated below rendering me the privilege of driving my parents' cars. If at any time, I violate this said agreement, the driving will be forfeited to the extent and degree of violation. I will drive responsibly and within posted speed limits. Any tickets or damages not covered by insurance are my responsibility alone. I will not drive under the influence of alcohol or drugs and will not allow anyone in my car who does. I understand I will be held responsible for anyone doing this in my car. I will not use my cell phone while driving nor will I text while driving. PCN Speakers on DVD/Videotape (pdf). Contact Susan Henry for more information.